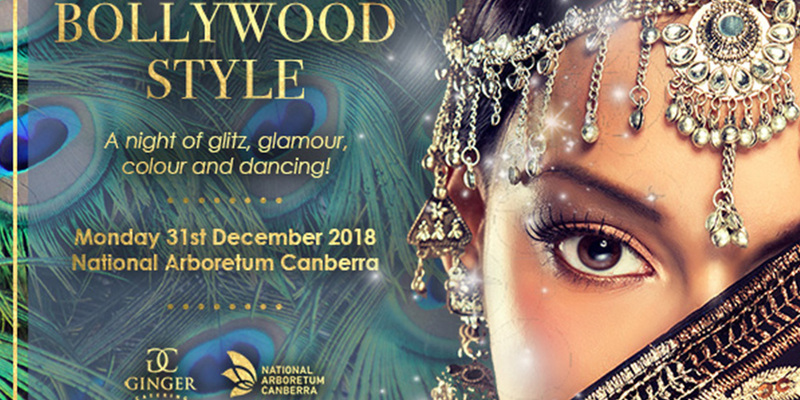 A night of glitz, glamour, colour and dancing the night away at the National Arboretum Canberra. Say goodbye to 2018 and join Ginger Catering for an unforgettable Bollywood style New Year’s Eve party. There will be cocktails and canapés on arrival, served on the terrace with stunning views over Canberra. This will be followed by a seated three-course dinner prepared by Ginger Catering’s award-winning team, accompanied by drinks, dancing and live entertainment! Tickets are $190 per person and include canapés and cocktails on arrival, dinner and drinks. Dress to impress in your Bollywood best! A photobooth will be available to capture the last memories of 2018 and the first of the new year. Don’t leave it to late, this is a sell-out event every year! Click here for more information, and book online here.